Smith MultiSport - ServicesPrincing for SMS services are as follows. See details in the following section. 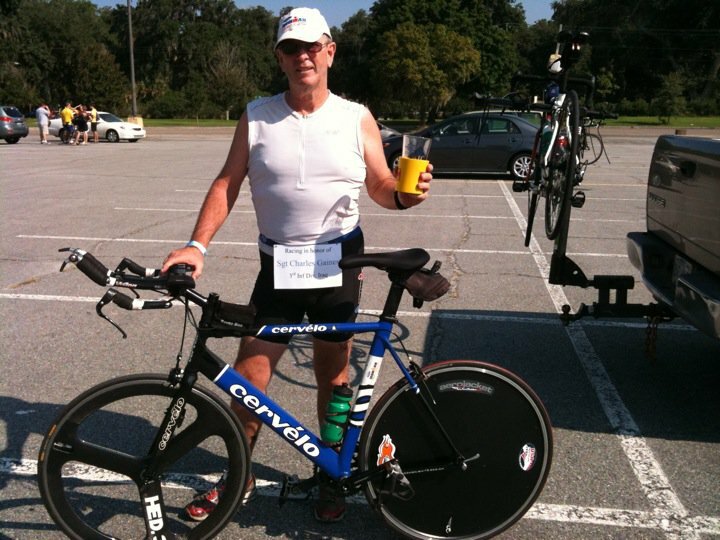 Triathlon / Duathlon Coaching... $100 per month or $25 per week for training to your race date. You will receive a personal, periodized, race specific training plan and feedback for your questions or concerns 7 days per week plus much more.See the "Coaching Packages" page! Water Safety Instructor (WSI)... $10 per hour or $50 for 5 one hour swim lessons at your facility. League Cycling Instructor (LCI)... $25 per 4 hour class of cycling proficiency and safety instruction. Life Guard... $10 per hour of experienced aquatics safety. Indoor Cycling Instructor... $10 per hour of intense cardio workouts. Strength and Nutrition training... $10 per hour.See the below description. This is Janna's domain so please contact her via our contact us page to set up a consultation by phone. Bike Tech... I can fix or adjust your bike. See the Quads of Fire bike service page. Princing for SMS services are as follows. See details in the following section. Triathlon / Duathlon Coaching... $100 per month or $25 per week for training to your race date. You will receive a personal, periodized, race specific training plan and feedback for your questions or concerns 7 days per week plus much more.See the "Coaching Packages" page! Water Safety Instructor (WSI)... $10 per hour or $50 for 5 one hour swim lessons at your facility. League Cycling Instructor (LCI)... $25 per 4 hour class of cycling proficiency and safety instruction. Life Guard... $10 per hour of experienced aquatics safety. Indoor Cycling Instructor... $10 per hour of intense cardio workouts. Strength and Nutrition training... $10 per hour. See the below description. This is Janna's domain so please contact her via our contact us page to set up a consultation by phone. Bike Tech... I can fix or adjust your bike. See the Quads of Fire bike service page. Based on that definition... When you choose SMS as your multisport resource... you can access us via phone, email or text anytime. You will be enrolled in the Training Peaks online training log so WE can track your progress. You will receive a SMS training T, training log (both paper and online) and copies of various multisport publications so you will know "how and why" you are being coached. You will be advised and coached not only on the physical "out the door and on the road or in the water" training but... nutrition, hydration, sports psychology, fatigue and recovery, bike fit and related technical issues. I received my multisport coaching training by noted multisport professionals in a USATriathlon Training Clinic held in New Orleans, La. And, most important, you will receive the personal coaching experience that you are seeking and that you deserve! Contact us to discuss your needs and goals and we will set up a program for you based on your fitness and experience. Rates will vary but are reasonable and customary. I built and put a Wheel Builder disc cover on. Much less than a ZIPP or HED disc and just as effective. As an American Red Cross, Water Safety Instructor Allen will work with you on the development of your swim stroke and technique to help you improve your open water skills, effciency and endurance. He currently teaches swim classes at the local YMCA pool. He can also provide swim instruction in all swim strokes, and teach water safety to children 10 and up to adults. He will travel to provide private lessons at your home or facility within a 75 mile radius of Waycross, Georgia. He will try to accomodate your busy schedule. I am a League Cycling Instructor certified by the League of American Bicyclists. He received his cetification through workshops in Savannah, Georgia and Southhampton, Long Island, New York. As a League Cycling Instructor he will give you instruction on proper traffic negotiation, bike handling and hazard avoidance skills. Basic bike maintenance including efficient tire/tube replacement. Triathlon / duathlon competition related... if you break down on the triathlon or duathlon course you are not allowed to receive "outside assistance" or you will be penalized or disqualified as per USAT rules. I am an American Red Cross certified Life Guard. As an American Red Cross, Life Guard he can provide life guarding services for your home pool or aquatics facilities on a daily basis for parties or other events. He will also kayak life guard events in ponds and lakes for your security.He is experienced and currently is a Life Guard at the local YMCA pool. Has served as an open water life guard for 4 full Ironman events across the Southeast. Call him for your next aquatics event or party within 75 miles. I am a certified "indoor cycling instructor". He has planned workouts and has developed stationary bike sessions that will stress your cardio system. He will go to your home or facility and provide you with intense cardio workouts to help you improve your fitness and weight control. Stationary bike(s) required (either spin type or bikes on trainers). I can advise you on the proper training and race nutrition and hydration after a thorough evaluation of your physical needs. Janna is a physician, a Board Certified Pathologist, and an Ironman triathlete. She can help me advise you on optimizing your calorie and fluid intake to avoid the potentially race ending conditions of "bonking," dehydration, and electrolyte imbalances. She "gets it" from the both the medical standpoint and as an athlete on the course. Contact Smith MultiSport for information on any of the services listed above, by email or phone. We are here to help you meet your goals and support your efforts.